The earliest mainstay programs that could be considered clones of LimeWire were Cabos, Acqlite and Acquisition. However, whilst these programs used the internal engine of LimeWire with some modifications, their interfaces were considerably different and quite simplistic in comparison. All of these 3 program's interfaces are somewhat similar. Acqlite was designed to be a cross between Cabos and Acquisition. Interfaces for each of Acqlite and Cabos, both very similar. Acqlite can keep history of previous sessions searches & perhaps a fraction faster to connect compared to Cabos. Acquisition (Mac OSX only) is now no longer developed and due to the developer's aggressive commercial approach tried to make sure these versions would no longer run on the network (and people's paid for lifetime membership of Acquisition turned into dust as the developer ran off happily with their money and then developed a torrent shareware equivalent called xtorrent to continue to rip people off with a pathetic torrent program that is not even on the allowed list of torrent programs at private torrent sites. I have tried xtorrent and it is pathetic compared to the true well known standard torrent programs. He provided only half the Acquisition program in the last update then disabled the ability to download the other half despite people had paid for it.) Some Acquisition programs can occasionally be seen online however. Recommended replacement for Acquisition would be Acqlite which is very similar but totally free and usually connects easily. A connection fix installer is available if problems connecting. Cabos (Windows & Mac) & Acqlite (MacOSX only) can be found here for Windows, or here for MacOSX Cabos & Acqlite or Acqlite here for the sourceforge link, to save you searching for them. Cabos sourceforge download page is Cabos via sourceforge. Note: Cabos for MacOSX is 32-bit only and will not run on 64-bit OSX. Use Acqlite instead, it's arguably a better program in any case. All the other clone versions of LimeWire I am aware of look and behave almost identically to LimeWire version 4 or earlier (with exception of FrostWire 4, I estimate their technology is no more advanced than LW 4.10.) These LW clones were based off the LW4 or earlier source code. Of course many people would remember FrostWire as being very similar to LimeWire v.4. Sorry no LW clones exist for Linux with exception of FrostWire. 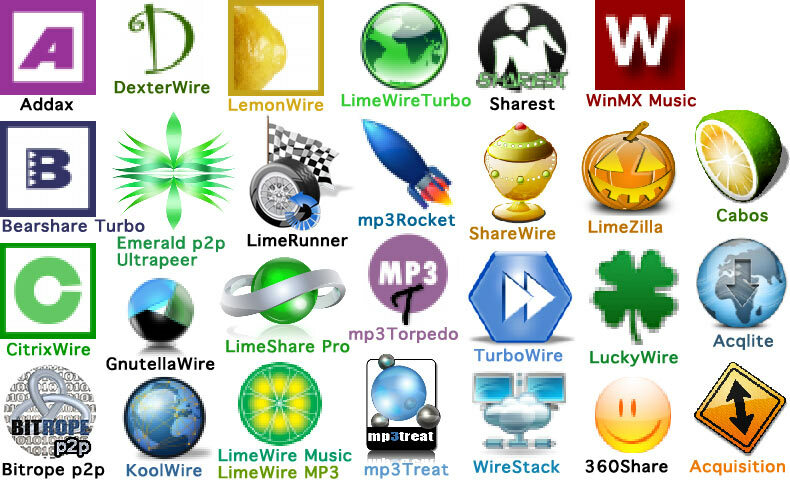 360Share, Addax, Bearshare Turbo, BitRope P2P, CitrixWire, DexterWire, Emerald P2P UltraPeer, GnutellaWire, KoolWire, LemonWire, LimeRunner, LimeShare Pro, LimeWire MP3, LimeWire Music, LimeWire Turbo, LimeZilla, LuckyWire, MP3 Rocket, MP3 Torpedo, MP3Suite, MP3treat, Sharest, ShareWire, ShareZilla, TurboWire, WinMX Music, WireStack. These are all look-alikes of LimeWire 4 with exception of LuckyWire. My impression is all the LimeWire 4 style clones use older gnutella technology with exception of FrostWire. The only LW 4 clone to have DHT (or even TLS) capabilities AFAIK is FrostWire version 4. DHT was first added to the LimeWire 4.14 version & none of the other LW4 style clones reciprocated. The only other clones that seem to have DHT capabilities are Cabos & Acqlite. LuckyWire also. If you know of any other programs based off LimeWire, please let us know. The purpose of this forum is a general help to keep the Gnutella network running happily. And this includes all the LW clone versions. Some such programs have their own forums, some did but have since closed, and some never had any support. Upon testing, a few of the LW clones attempt to send messages to a site of address 66.28.49.83 which Malwarebytes blocks and warns me is a malicious website. Spybot-Search&Destroy removed 3 or 4 items and almost 100 entries for the spyware added by the 3rd party installers. That decision is totally up to you during installation however and you may like such toolbars. My notification is purely for your information to consider. what do you reckon is going on here ?? Interesting question. AFAIK WinMX (Music at least) is a LW 4 clone. 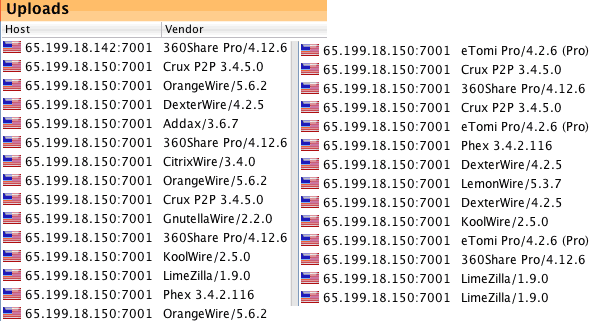 I have seen OrangeWire around but only as a bad client. By that I mean the only times I saw them was when one or two spam companies were using that & other software with the same or similar ip address. Why OrangeWire should show up in WinMx I have no idea. I do not recall that from the version I ran but I can recheck it. I'm wondering if you got your WinMx from a different source to mine. In the sample image, the OrangeWire version is 5.6.2 which is possibly similar or equivalent to LPE, except the WinMx version I used was LW 4 equivalent. I have no idea what's happening there. Perhaps someone has repackaged/reworked the LPE version. After all it is 'open-source'. 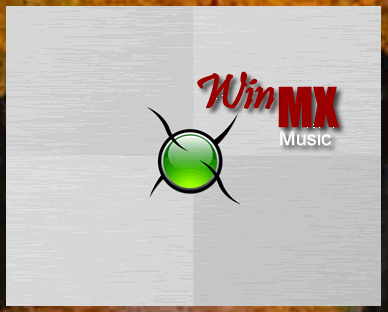 Seems WinMX free is maybe put together by different persons. If I can find a copy I might add it to the Clone connection installer. 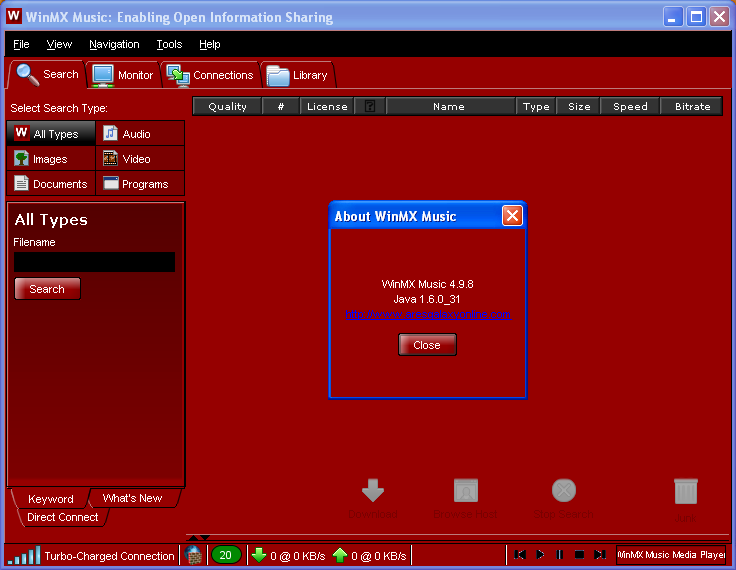 Specifically the WinMX Music version I've tested 4.9.8 is a LW 4 clone. Snapshots show the startup screen & then the main interface with the About window sitting in the middle. There's no reference to OrangeWire. Also I've been connected to other WinMX Music versions previoiusly. As an off-topic, I haven't been using the network much for many months so will probably update the connection lists for all the gnutella clients late December. Recent tests showed the connection lists still work. For some reason i can only get half a picture . Maybe it is how you took the snapshot? Maybe the screenshot was not set wide enough. How about take a snapshot of the other half and post that. I'm a mac person & we don't have print screen key on our keyboards. You can also upload directly to the forum if you choose Advanced Reply. When you click on message 5 , can you see all my pictures i have on photobucket ??? Yes. If you wish to avoid that, change the photobucket permissions for the other photos. Or put the other photos into Stories that only restricted persons can see. hmm even just putting them into stories might overcome that. Stories are not hard to create, follow the photobucket instructions on how to do. A story is like a folder with specific images within it. If in doubt, send a question to photobucket support.